Flexible professional quality set squares supplied as a pair: 30/60 and 45 degrees set squares, stored in a protective plastic wallet. Suitable for pencil work only. 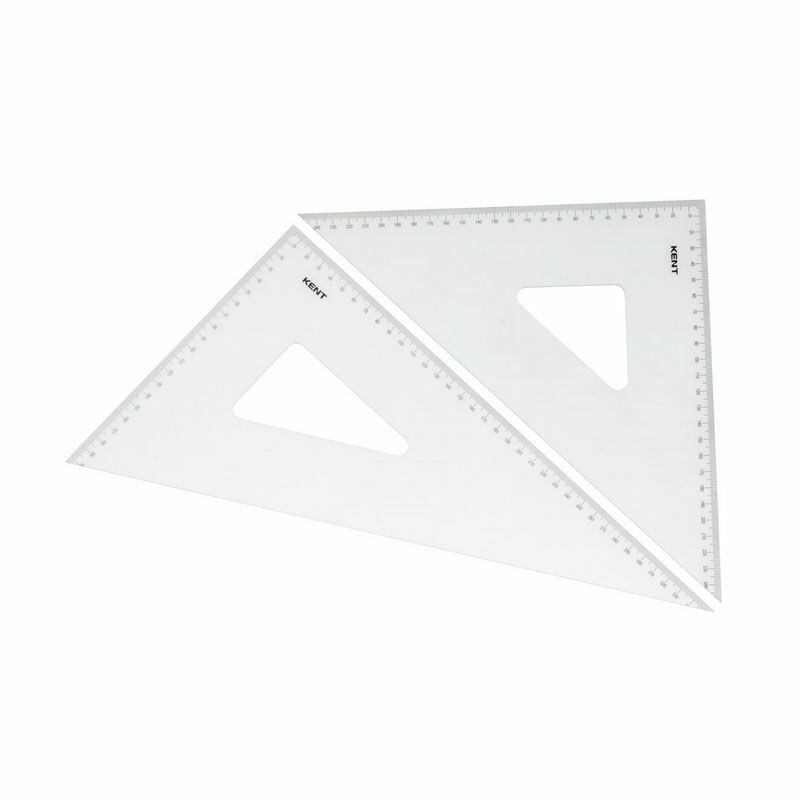 The Kent Adjustable Set Square is a professional quality instrument. Featuring a clear transparent surface and a precision divider in degrees and a bevelled edge for ink pens and markers. Angle of the arm is easily altered by sliding in an arc. Wooden T-Squares come with a white celluloid edge on the blade to ensure strength and enhance the rigidity of the blade.